Maybe you were like me not too long ago? Knowing there are some differences between a commission ECN broker account and a Non-ECN account whereby no commissions are charged expect for that taken out through the spread. 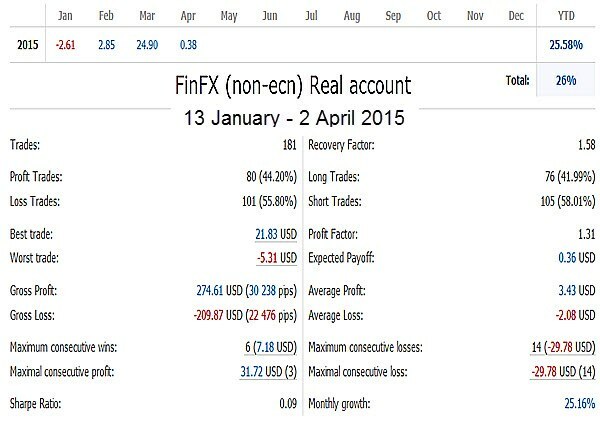 In recent times deposits for opening a true market ECN account have come right down so I decided to open one of these accounts and compare the difference with my non-ecn account held through a different broker. I thought the differences would be minimal, but I was in for a SHOCK! [NB: FinFX also offer ECN Accounts with $1,000.00 min deposit and brainyforex has no hesitation in recommending them]. The difference between the two accounts in the two month period = 25.73%! 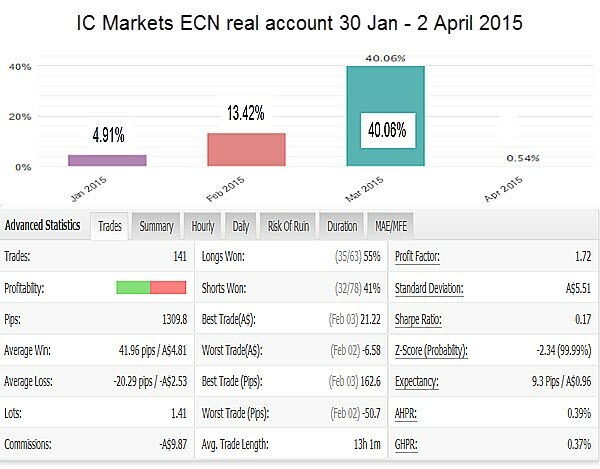 Over 100 trades were made during this time period and the results showed that basically every trade made was considerably more profitable through the ECN account. There was also some difference in relation to the data feed which caused a difference in a limited number of trades taken on one account but not the other. It should be noted that this comparison was done trading on the H1 time-frame. These differences between a ECN and Non-ECN account should be of concern especially for those traders using automated trading systems which usually trade on the lower time frames. These differences will be a lot smaller for end-of-day traders whom hold onto positions for longer time periods and take fewer trades. Is it any wonder that some traders whom purchase automated trading systems make profits while others using the same system through a Non-ECN account lose money and call the EA forex robot a scam? EA vendors selling automated trading systems need to go to greater lengths to to explain that their intra-day systems will significantly 'under-perform' on non-ecn accounts. Extremely short term scalping systems trading on minute charts (M1, M5, M15) will never ever perform successfully on non-ecn accounts! If your friends trade using non-ecn accounts, why not forward this article to them and share your thoughts on the subject in the box on the bottom of this page.